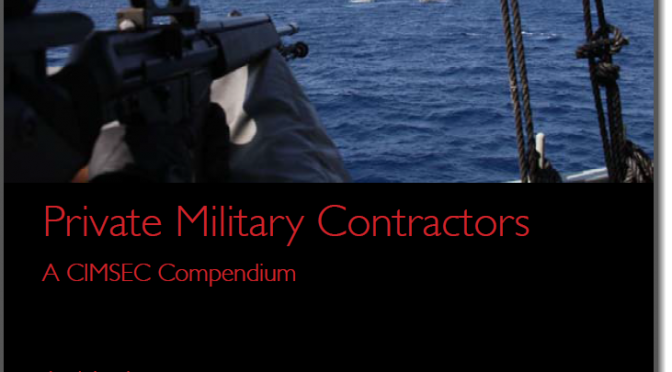 Military contractors are assisting militaries and civilian government agencies throughout the world and across the mission spectrum, including planning, training, logistics, and security. Their use in support of a range of security-related activities is growing. 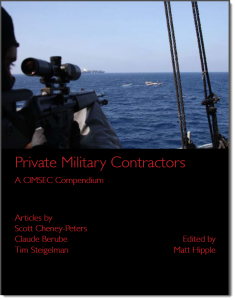 Employing private military contractors (PMCs) for any security purpose, has both distinct advantages and disadvantages. PMCs are seen as having inherent advantages over militaries with regard to cost, flexibility, and responsiveness. Relying on PMCs, though, does have its share of risks—including safety and liability issues, performance, force management, compliance with international and domestic laws, and lost resources because a capability is outsourced rather than retained. With this increase in contractor use in general, and the rise of privatized firms that are specifically organized to provide security services, the question is now how to determine the right force mix to most effectively and efficiently complete a task or mission. In some cases, contractors may be the best choice; however, they are not the perfect fit for every mission or the right solution for all skill or manpower shortages. Despite their recent pillorying, PMC’s have existed since before the condotierri and will continue to exist after America’s campaigns. In this publication and the original week of special analysis from April 2014 we discussed their utility and future, especially in the maritime domain. Also be sure to check out Sea Control’s interview with Erik Prince, former CEO of Blackwater. He describes the challenges of African logistics and how his new public venture, Frontier Services Group, will attempt to tackle them.